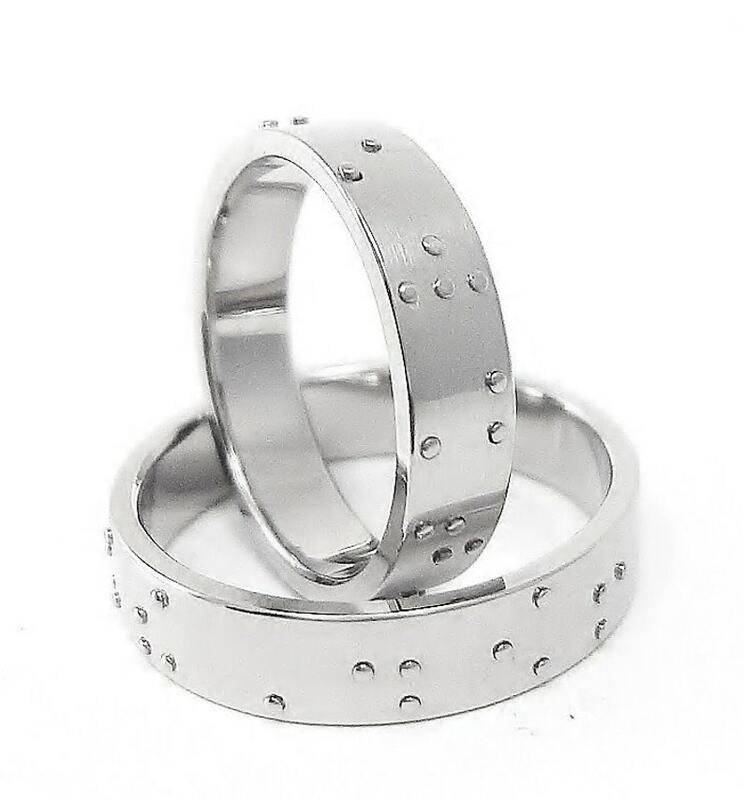 This listing is for one custom made ring in sterling silver (925) that depicts in Braille on high relief the name or word or you choice. Each ring is hand worked in a high degree of precision and perfection, giving it a fresh and clean, modern style. 5mm wide. Please send ring size and the desired name or word. Gold, in different alloys (18k, 14k) and colors (yellow, white, rosé), is also available, contact me to get pricing. Engraving on the inner side of the rings can be ordered extra (for example a special or wedding date), let me know if you are interested in this extra service (free of charge). This ring is CUSTOM MADE TO ORDER. Please allow 2 weeks fabrication time, plus shipping time which might vary between one to three weeks. Read my shop policies before ordering. Shipping via Chilean certified mail or FedEx international (approx. 3 days) is available at an extra charge.